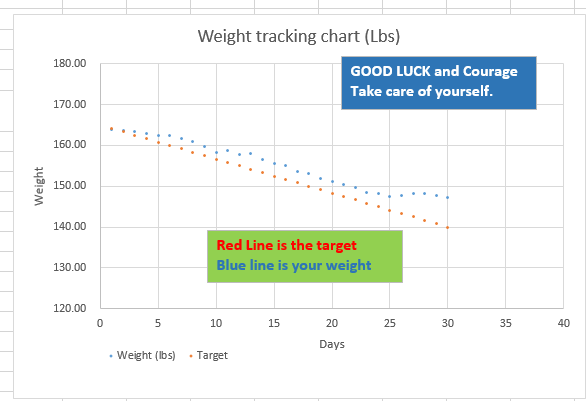 You want to lose weight or just track your weight. 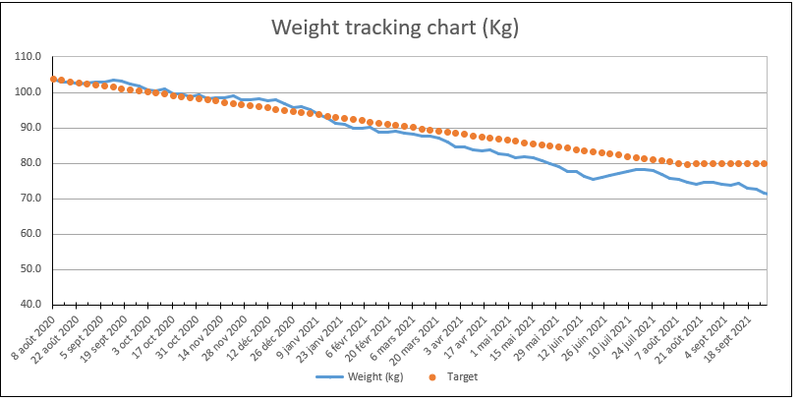 Then use this great template to track your weight, set target and add comments. It will calculate you BMI (Body Mass Index of the moment and track it as the days go). It is also very useful if you started a diet to track your weight. You can also try out online BMI calculator. Or even our BMR (basal metabolic rate) calculator that will tell you how many calories you can eat a day. The new version gives you the number of calories per day or week you need to reduce in order to get to your target. Think that about 7700 calories per week will help you lose 1 kg in a week. To lose weight a few easy trick are: don't look at snacks as friends but as ennemies. They are the little devil on your shoulder telling you that you are going to feel better after consuming them. The best diet ever is: don't finish what is on your plate. Eat only half of your plate. The only exception is when you put the food on your plate yourself. 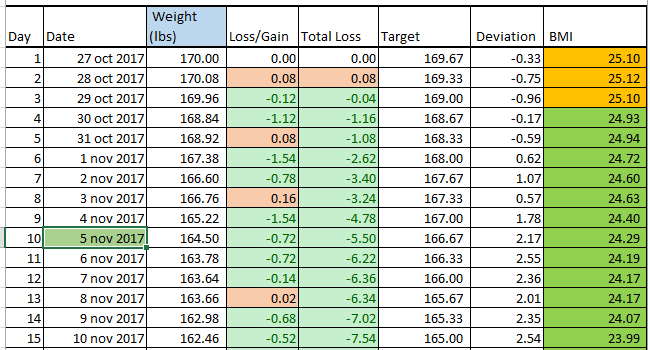 See how our Excel template for weight tracking looks like. The entry tables are in Kilograms or Lbs. So you can use it in all over the world. You can already DOWNLOAD the weight loss chart. Gives you a great graphic display. You can of course modify how the graphic look like and see how your weight varies in a different kind of chart. You can DOWNLOAD this weight tracking chart here for Excel 365, 2007, 2010, 2013, 2016 and Android or iPhone version. It is formated to fit on a mobile phone screen.